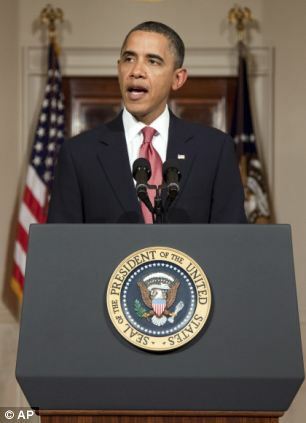 Iran Increases Threat to USA - Is Obama Up for the Challenge? Iran has stepped up its threats against the United States by issuing a "double" warning. According to the state-run Fars news agency, Atalooah Salehi said, "We usually don't repeat our warning, and we only warn once. We recommend and emphasize to the American carrier not to return to the Persian Gulf". This is perhaps the most challenging and risky diplomatic and military challenge to President Barack Obama since taking office in 2009. Is he up for the challenge? According to PressTV, the Iranians have tested a new Shore-to-Ship missile designed to cruise up to 200km and strike and destroy its target. The Qadar missile has been produced and will be manufactured as quickly as possible according to Iranian Defense Minister, Brigadier General Ahmad Vahidi. A spokesman for the Pentagon said the US Navy maintains a "constant state of high vigilance" to endure the continued safe flow of maritime traffic in waterways critical to global commerce." 16% of the world's oil flows through the Strait of Hormuz. Iran has said repeatedly in recent weeks they can shut this strait down anytime they want. Last week, the USS John C. Stennis (aircraft carrier) left the Persian Gulf. The Pentagon spokesman said the depolyment of American naval ships will continued as scheduled. Now Barack Obama must make a decision. Has Iran drawn a "line in the sand" from which there may be no diplomatic return? President Obama must find a way to make a strong decision to defend our national interests. But, can he handle this? If we look at the history of his administration we will find there is no record to support a positive outcome. Last February I wrote about Obama's hypocrisy in listening to the protest mobs in the streets of Egypt. Fast forward to today and we now have lost an important ally for the stability of the Middle East as Egypt is run by more radical Islamic groups who have even discussed closing and perhaps destroying the great pyramids of Egypt because of religious fanaticism. The Obama administration can be proud of this progress. Obama's foreign policy is one misstep after another. While missing an opportunity to remove the Islamic government of Iran in his early days, he went on to take out other governments that were either friendly to the US or at least were under control. Recently Obama allowed some of our most classified secrtets to fall into the hands of the hostile Iranian government when a stealth drone was left on the ground in Iran. This aircraft clearly should have been destroyed on the ground before anyone got to it. Is Obama ready to handle this threat from Iran? I certainly pray that he is for our country's sake and for that of Israel. But history tells us to not expect much from this man. Why does the warning given by Iran equate to a challenge to Obama in the mind of the writer? It makes no sense.